Hi! I’m happy your here! I am sharing this with the #write31days challenge community. If you are a 31dayer, please share Your Name & Blog in the comments below. I’d love to read your Heart-Words. I am EnCouraged by you reading these, my Heart-Words. Yet, I must admit, there are times when I am not happy. Yes, there are times when I am simply DisCouraged. I Struggle. I Fight. And I continue to Pray, unceasingly. Searching the Word. Seeking. Silently Crying Out. Until… finally; Finally, I can get Them out. Out onto the pages of a Journal. Them… Those Words. The ones that have been lurking in the Darkness just beyond clarity. Those Words, finally penned on a Page. Searching the Word. Seeking. Silently Crying Out. Until… finally; Finally, I can get Them out. Out onto the pages of a Journal. Oh, Thank You Lord for this Sweet Relief and Comfort that is Your Peace. Then. Weeks later. Then, I Read. Out. Loud. I Read, unsure as I revisit those Words, Stumbling over even the simple Words. Simply Pronounced Words that now, in this Moment, carry such heavy Meaning for me. I Read Out Loud…Feeling the Meaning Laden Words I carried for so, so Long. I Feel those Words Spill out into the Open Air. I see them caught in ThoughtFull Eyes who See Me, and know they are tucked neatly into her Listening Heart. 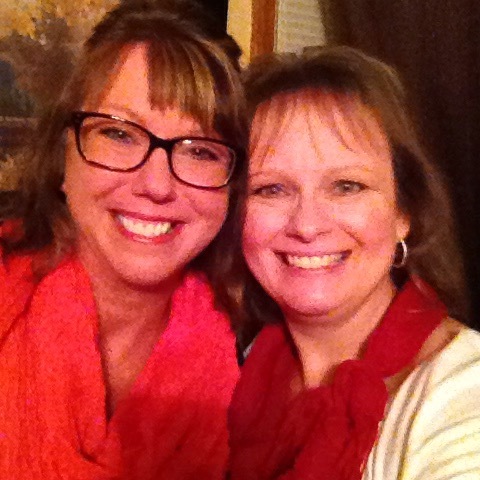 Thank You Lord for this One, a Dear Heart-Sister. I was undone & yet, once again, felt peace. Then, she told me that it EnCouraged her. What?! My Heart-Words? The same Words that had caused me such struggling pain to Finally pen on a Journal Page? These Words EnCouraged Her?! I am surprised that Those Words; they EnCouraged her to know that she was not The Only One who has similar feelings of Fear. Then, she said I should Post This. This Journaling?! …Really? On my Blog? For EveryOne to Read? Wow. This mixture of terrifying fear & tremendous, anticipating JOY filled me. I told her Ok. That’s a Good Idea. Father God, Thank You for all You’ve blessed me with. Forgive me, please, for my sins. I know I’ve been stagnate, frozen, paralyzed by fear. Fear of exactly what? Messing up Your plan/will for me; not being good or gifted enough; fear of all the unknowns; fear of not being able to follow through; of completing the task, job, mission You’re calling me to. Fear no one will Get It. Fear that I am less than I was before the accident. Fear that I will be embarrassed by my lack of memory, energy and the abundance of pain & it’s effects. What Message do You have for this, Thy Servant? FACEDOWN. These Words may or may not EnCourage You. That’s Ok. Yes, really. I needed to do this post & Actually hit Publish for me in Obedience to my Lord. If there is Only One who has been or will be EnCouraged by these Heart-Words. It’s OK. I want You to know that when You Journal, Write out Your Heart-Words, God hears Your Heart. He Knows Exactly What You Mean. Yes, even if we don’t know, exactly, He Does. 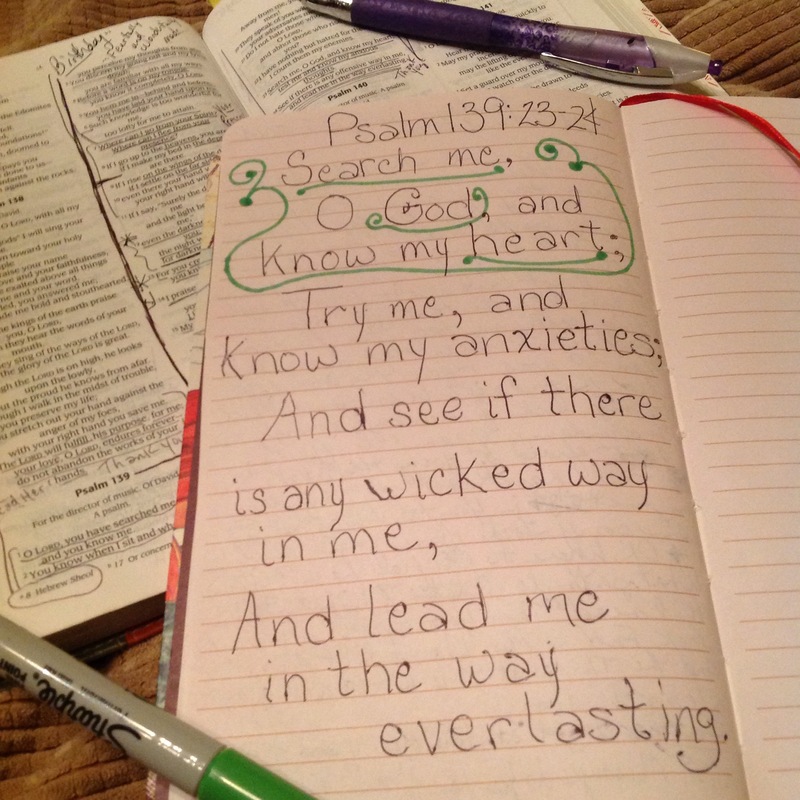 This entry was posted in Encouragement and tagged Encourage, Heart-Sister, Heart-Words, Hynm, Journal, Psalm 139. Bookmark the permalink. Lovely. I love journaling and yours is wonderful! Beautiful! I needed to read this today…. Thank you for sharing your Heart Words! I can relate to what you said about Fear – about sharing your personal words/self…I have been writing in my journal for many years and pour my heart out as well…sometimes, just sharing what I am doing or how I am feeling; sometimes, I write down a quote or a scripture that has meant something to me; sometimes, I write my prayer to God and appeal to Him to HELP ME! Yes, I can relate…and I appreciate your sharing and also publishing it on your Blog. I have signed up to follow and look forward to reading MORE (and hopefully have time to “back up and catch up”! Thank You for your Sweet Words! I appreciate the EnCouragement. 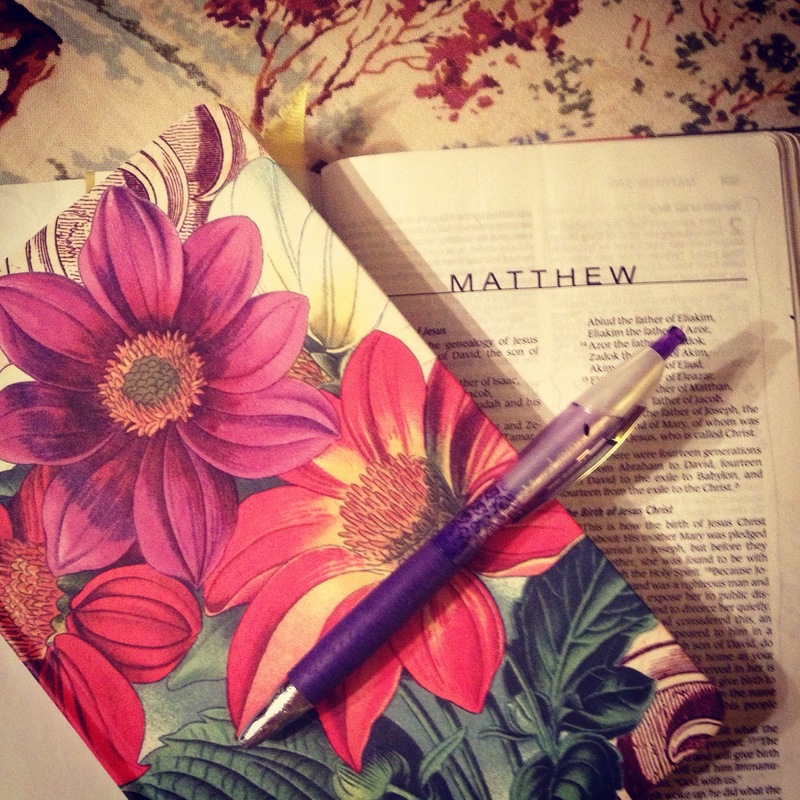 Journaling is a WonderFull way to search our hearts and seek God’s. Thank You for your Comments. You’re a Sweet-Heart. I just found yours there. So glad I did too. I went to your Blog & read the Art Journaling post. Loved it & your Sweet Spirit. Yes, I do Art Journaling too. I love colored pencils and markers. Thank You for leaving your comment. Hope to stop by and read more of your Heart-Words. Thanks for your obedience and you’ve encouraged me today. Stay blessed. Blessings! Have a JOYfull Day!